Occupation: VP of Business Development and Operations at a national association. Musical passion: Just barbershop. She skipped her prom to see Keepsake sing on a chapter show and she married Richard Lewellen. Lots and lots of barbershop in her house. 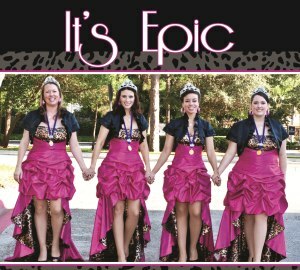 Most importantly: Mom to three “baby” barbershoppers, Morgan, McKenzie, and Bryn, who are Bella Nova Chorus superstars.